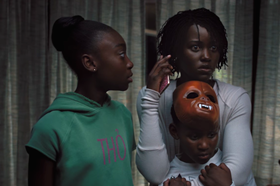 After setting a new standard for provocative, socially conscious horror with his directorial debut Get Out, Jordan Peele returns with a daring new nightmare. 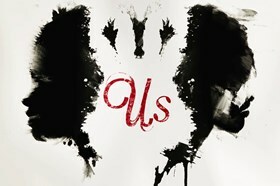 With spine-tingling performances from Lupita Nyong'o (12 Years a Slave), Winston Duke (Black Panther) and Elisabeth Moss (Mad Men), Us is an unmissable masterpiece in modern horror. Adelaide (Nyong'o) and her family set off on an idyllic getaway to the California Coast, returning to the beachfront home where she grew up. Haunted by an unresolved trauma intensified by a string of unsettling coincidences, Adelaide becomes convinced something awful is coming for her family. "Peele’s follow-up to Get Out is a superb doppelganger satire of the American dream, with Lupita Nyong’o delivering a magnificent performance." - Peter Bradshaw, The Guardian.